Bethany is our FAVE beach! We haven't gotten there this year yet, but we prefer off season anyway. Maybe late Sept or Oct. The backside pictures of the girls remind me of so many I've taken over the year! 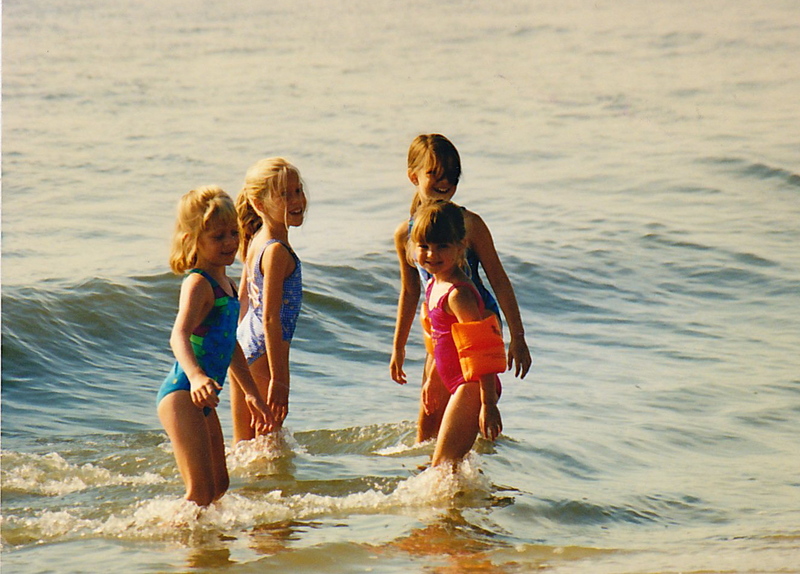 What lovely memories, made even more special by going back there now with friends made forever. Summer days, summer fun. My memories also linger in my mind. How fun to go back to a place where you went when the girls were little. I'm sure there were memories everywhere.....and it looks like you made some great new ones. This place is as beautiful as the memories it holds. I'm so glad you all were able to revisit a favorite spot. You explained perfectly why we loved raising the lovelies at the coast and also why we hope to never leave. The memories, the smells, the food, the friends, the fun...it's all here. Year 'round! Such a sweet post... I miss pig tailed girls on the beach too, but it is so nice that you have these life long friends to get together with... Wouldn't it be cool if all four girls vacation together someday with their families? 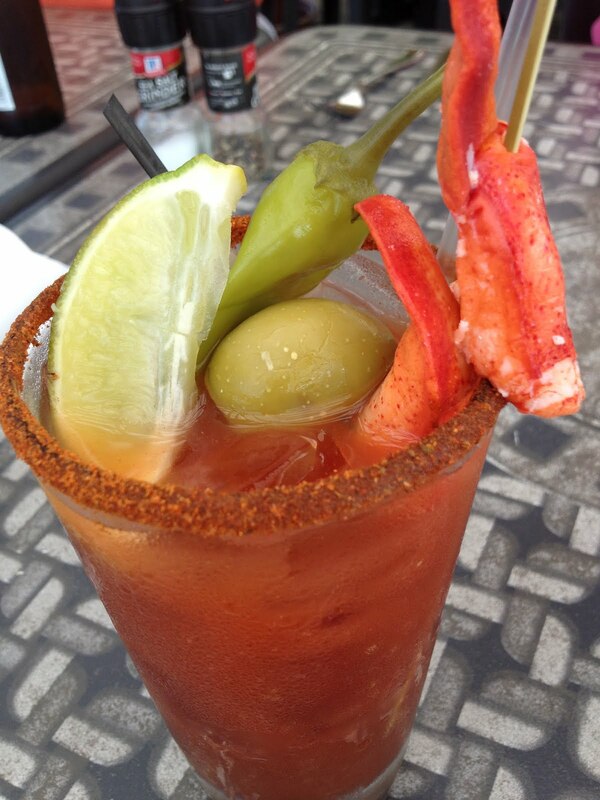 Also, I really want a lobster bloody mary now! 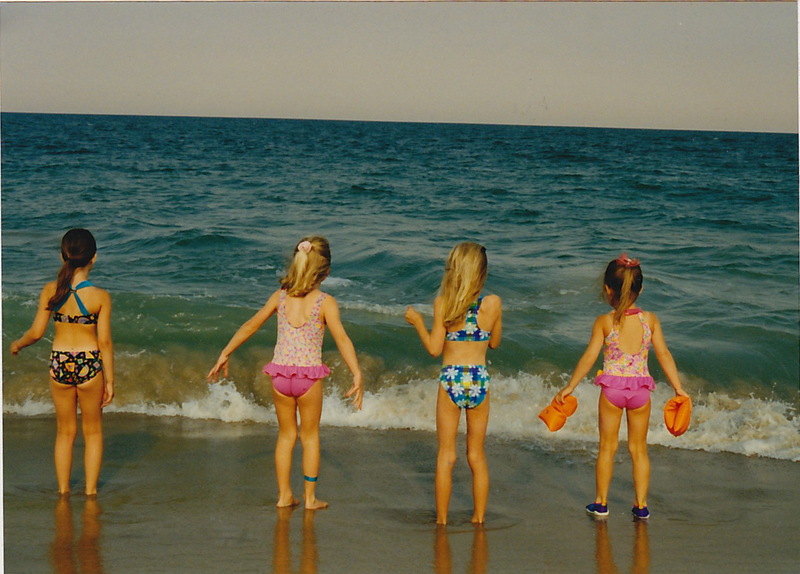 Beautiful pictures Joyce, especially the one of the 4 girls all grown up now! All the pics were fun to see. Good job! Looks like you had a lovely vacation. There's just something about the beach, right? All I can think now is I want some of that frozen custard!! Hmmmmmmmmmm that looks good!! you've gotta have ice cream/frozen custard at the beach! Looks like y'all had a great time! What great memories! Yes, to everything there is a season and life rocks right along. We enjoyed several beach trips with our kiddos and maybe we'll take the kiddos and their families one year soon. Just so hard to co ordinate now with everyone's work schedules. Happy week! We went to Ocean City last month -and on the way home drove through Bethany Beach nd Dewey beach .... and said "Wow we need to come here!" - Sounds like a nice time and exactly what we thought it would be! Nice fun pictures! Lovely memories . 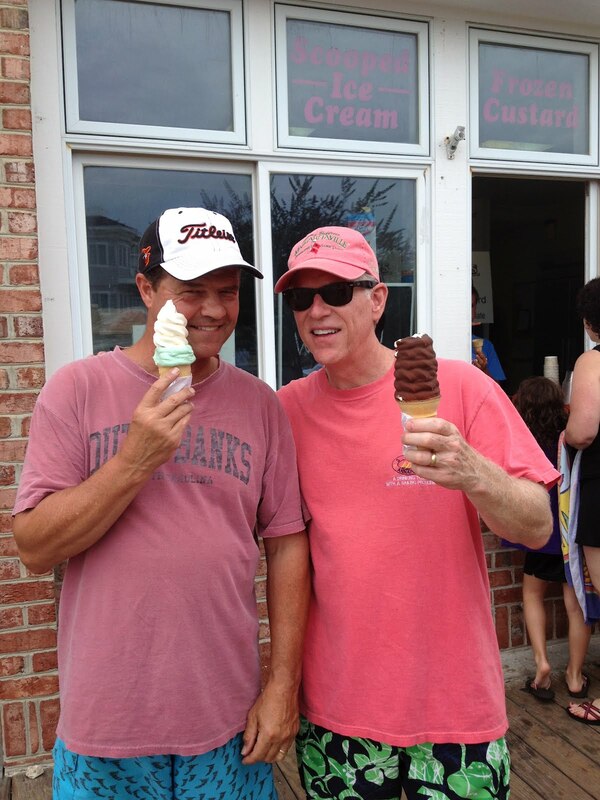 . .
And now I'm officially hungry for some frozen custard. I'm glad to hear that you got your toes in the sand :) and those cones look simply delicious! you guys looked like you had a great time....good for you!! Joyce, it sounds like the perfect weekend and your memories from the past sound like they were beautiful ones for you, your husband and the girls. The cones look delicious and I could always go for one of those Bloody Mary's! We used to vacation in Bethany when our two were young. Some great memories! So happy you shared yours!